Site Build It! provides every woman with a great opportunity to become a work at home mom online. Here is the story of how SBI! 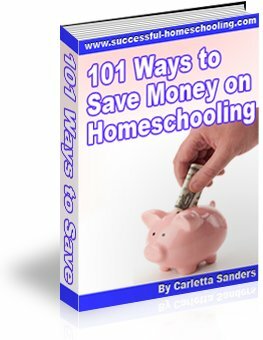 helped me become a work at home mom. SBI! walks you through a series of steps known as the a CTPM process. C - Create a website that provides great content for your visitors. T - Bring traffic, or visitors, to your website. P - Presell your visitors by providing honest, helpful information. M - Earn income through your site using your chosen monetization method. SBI! provides you with an Action Guide that is broken into 10 steps that will take you all the way through monetizing your website. You can move through the Action Guide as slowly or as quickly as you want to, depending on your goals. Some site owners build their websites slowly, adding a page or two here and there. Others move more rapidly, spending many hours per day on their websites. Click here to take a peek at SBI! 's Video Action Guide. What technical knowledge do I need? If you're familiar with use of a keyboard and mouse, SBI! can teach you everything else. The Action Guide provided by SBI! will walk you through the process of choosing a profitable topic for your website. Who will design my website? SBI! provides you with easy to use design templates that you can use as is, or customize to meet your needs. My website design is a standard SBI! template with a slightly modified background and header. You also have the option of designing and uploading your own website pages. Writing content is just like talking. You are simply sharing information with your visitors. SBI! provides a free e-book that walked me through the process of writing content for this site. Click here to download a FREE copy of this e-book, Make Your Content Presell. Can I really make money with SBI? I earn monthly income on my site through the use of Google ads and other affiliates. I receive a small check from Google every other month, and a monthly check from Usborne, my main website affiliate. It is important to note that SBI! is not a get rich quick scheme, but a long term business opportunity. I have fully covered all of my start up costs, and from here, I expect my income to continue to grow. I have trusted friends who are earning over 4 figures per month with their websites. How much does SBI! cost? SBI! costs $299 which is a great deal for the wide range of services provided by the company. Although the entire fee must be paid up front, it would work out to approximately $25 per month if paid monthly. SBI! is a low cost way to invest in an online business. There are no additional hidden fees, and the product comes with a money back guarantee. What is included in the price of SBI!? The price includes everything you need to build and host a website, and publish a monthly newsletter. In addition to the necessary training, software and technical tools, SBI! 's price also includes access to its forums, on which the owner himself is a regular participant. 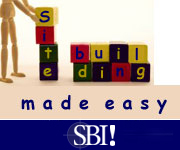 Can't I build a successful website without purchasing SBI? You may be able to, but I certainly couldn't. :) The world of internet marketing is full of misinformation and predatory marketing schemes. SBI! has a proven process that will likely save you money in the long run. I have spoken with several SBI! owners who had failed at past internet marketing efforts and had quick success with SBI. Many are building their second and third websites. Why should I build a website if I already have a blog? Building a website takes blogging to the next level. It moves your online activity from the status of a hobby to that of a business. Website creation allows you to continue reaching others with great information, while also earning an income. In addition, unlike blogging, when you take a break from writing content, your website is still up to date. This article provides additional information that will help you decide whether to Blog or Build. Is SBI! a legitimate business opportunity? Absolutely! See question number 7, above. How quickly will I make money? Your income is dependent on a number of factors, including what topic you choose, how quickly you move through the Action Guide and how closely you follow the Action Guide. I earned my first check 4 months after purchasing SBI. But again, SBI is a long term business opportunity, not a plan to get rich quick. Why does SBI! have that annoying exclamation mark after its name? I have no idea! Maybe it's because the process works!!! Click here if you would like to take advantage of SBI! 's no risk, Money-Back Satisfaction & Success Guarantee. If you have additional questions that were not answered here, please feel free to contact me. I am truly loving my online experience, and I look forward to hearing the story of how you became a work at home mom online!